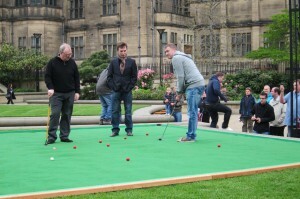 .. and on a giant snooker table, but with a putter, rather than a cue. A bit like his performance in the quarter finals of the 2012 World Championship, then, which meant he wasn't one of those I saw in the semis. 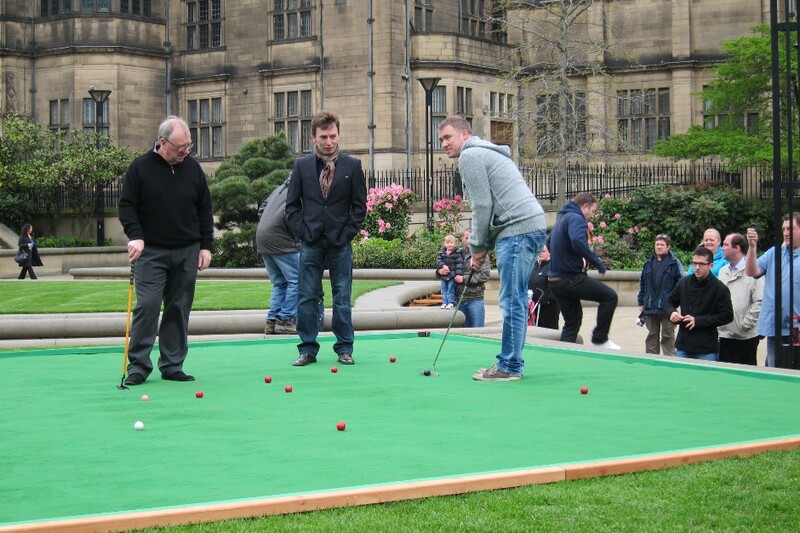 Dennis Taylor and Ken 'still not forgiven for beating Stephen in the 1997 final' Doherty are the other two.